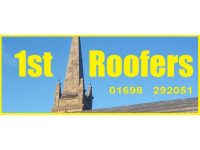 1st roofers based in Wishaw, Lanarkshire is a family run business. We will take care of all your roofing needs. From replacing a single tile to a complete re-roof. 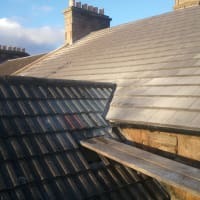 1st Roofers is a family run company located in Wishaw, Lanarkshire. We specialise in roofing services on all types of properties. From small odd jobs to full renovations we do them all. With a reputation for excellence in both workmanship and service we provide a comprehensive construction service.The team are highly qualified and dedicated to getting your job done on time and to budget at very competitive prices. As a family run business, it is our aim to ensure that all of our customers receive an outstanding service and are 100% satisfied. 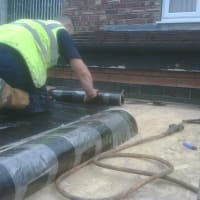 At 1st roofers we take pride in all of our work whether the jobs be big or small, we only provide quality workmanship so that our clients receive the best service possible. This is a first class company, the guys came out and fixed my roof. They had to renew part of the roof and guttering. The price was great and the workers were excellent. Anyone should be confident using this company. Will certainly use them again in future. Fantastic turned up on time, great work carried out will use again in the future very reliable and reasonable price. Fraser did a great job, he came out very quickly ( the same day that i telephoned) as i was getting water into my bedroom, he carried out an emergency repair on my roof window so the water would stop getting in. He came back a few days later and carried out a full repair. Excellent service 10 out of 10.